As Umbreen Sheikh, founder of Wink Brow Bar, predicted, the tapered brow trend is in full swing this season. 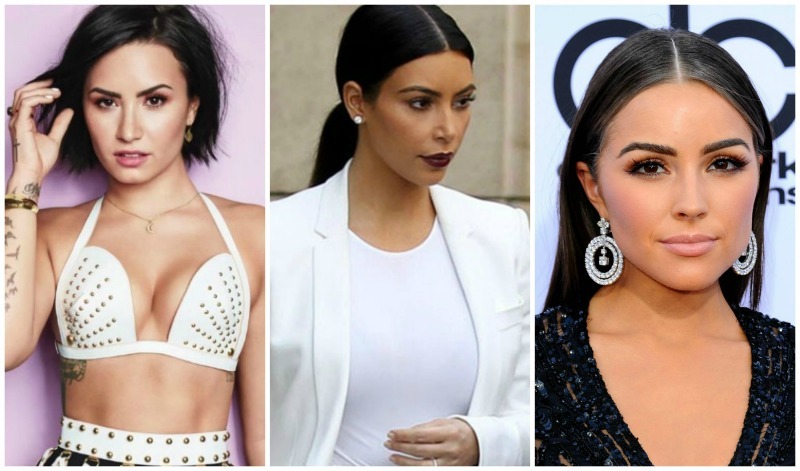 This look has a strong, bold appeal and can be seen on celebs like Demi Lovato, Kim Kardashian and Olivia Culpo. Here’s a good rule to follow when re-growing your brows into a proper shape ... Leave them alone! For one, that’s the most important step. Brushing them back with a spoolie/clean mascara wand with brow gel is a great way of keeping them tame. Applying concealer on new hair growth also works for that in-between growth stage! It’s important to have your brow shape complement your face shape - Face shape completely matters – to start, if you’ve got a heart-shaped face, a softer arch will soften the point of your chin. A well-defined, angular arch can help draw attention up and away from your jaw if you’ve got a square face and a strong brow looks best on an oval face.